We realize that some cruise ships are only in the port of Bari for a short time so we offer this interesting two and a half hour tour to the Caves of Castellana. After meeting your licensed guide at the pier in Bari you immediately depart for the famous caves near the town of Castellana. In past centuries these large underground cavities were used as storage by the local farmers. 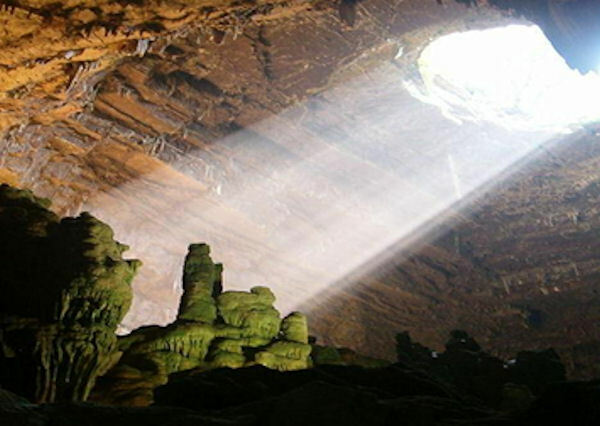 In more modern times the caves were avoided by people as stories of monsters and ghosts who lived in the caves prevailed. Then in 1938 the scientist Franco Anelli explored the caves and discovered the astonishing depths and dramatic formations that were inside. The underground complex of caves extends to a length of about 2 miles and to a depth of about 210 feet below the ground level. Your visit to the caves lasts about an hour and as you walk deeper and deeper into the system you will be in awe at the pure white formations made by the stalactites and stalagmites. This is a very popular sight for Italians to visit during the vacation month of August, so popular in fact, that about fifty percent of all the cave's visitors are here in August. After your visit you return to the pier in Bari. Please note: This tour is not suitable for our guests traveling with a wheelchair. This tour requires extended periods of walking over difficult terrain. Tour length might vary to fit ship’s scheduled departure time. Entrance tickets to the caves are not included.